Illinois residents, from any county may register to vote at the Plainfield Public Library. You must be at least 18 years old by election day to register. Bring in two forms of identification, at least one showing your current address. A registrar is available whenever the Library is open, but we recommend calling before you come to register. Free notary public service is provided by the Library for most documents, with the exception of real estate documents, which are excluded. The Library also cannot notarize government I-9 forms, nor can we provide an Apostille. An Apostille is a form that certifies the authenticity of a document that is issued in one country to be used and considered valid in another. These can be obtained through the Secretary of State’s office. Several staff members are licensed to notarize signatures on documents. While in general notaries are available during regular business hours, we strongly recommend calling before coming in to make sure a notary is available. For more information on our notary services, please see Section Three of our Library Policies. We provide delivery of materials such as books, audio-books, CDs and DVDs to card-holding patrons who are unable to physically come to the Library, including new parents. For more information about having items delivered to your home and to sign up for Home Delivery, visit: https://plainfieldpubliclibrary.org/services/home-delivery-services/. The Library will provide a sign language interpreter for programs and events, whenever possible. 7 business days notice is required in order for the Library to hire a qualified interpreter. Click here to Request a Sign Language Interpreter. 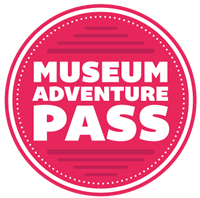 Museum Adventure Passes are now available. For more details, visit the website http://www.museumadventure.org. Visit your home library to find out current pass availability. Library staff will be able to check on what is available, and also check out the passes. Libraries have a limited number of passes for each participating organization, and are available on a first-come, first-served basis. Passes cannot be reserved or checked out online or on the phone. One Museum Adventure Pass may be checked out per person, per loan period. The loan period is SEVEN DAYS and will expire after the date printed on the pass.